As far as perfect fits go, Gustav Nyquist and the University of Maine Black Bears are about as good as it gets. The Black Bears hockey program, including Paul Culina, Director of Hockey Operations for Maine’s men’s and women’s hockey, knew just what they were getting, player-wise, in the talented left wing. Maine brass also knew they had someone who would be a first-rate teammate. 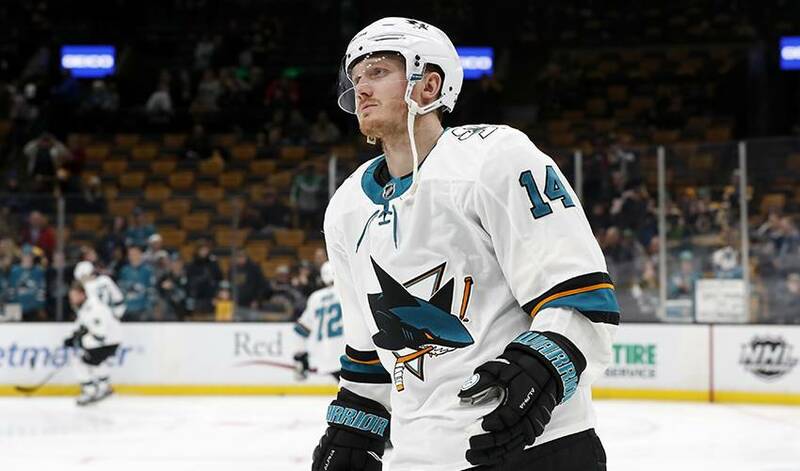 Drafted 121st overall in 2008 by the Detroit Red Wings, Nyquist would play three seasons in all for the Black Bears, from 2008-11. In his rookie year, he became the first freshman to lead the team in scoring (32 points in 38 games) since Hockey Hall of Fame inductee Paul Kariya in 1992-93. There was no sophomore jinx as Nyquist notched an NCAA-best 61 points in 2009-10, a season capped by being named a Hokey Baker finalist as U.S. college hockey’s top player. Nyquist served as assistant captain in his final NCAA season, when he was named a Maine Scholar-Athlete Award winner and was nominated for the Dean Smith Award as Maine’s top scholar-athlete. After 481 games with the Red Wings, the three-time 20-goal scorer was dealt to the San Jose Sharks this February. On March 7, the 29-year-old netted his first goal with his new club. On March 12, he had a pair of goals in a 5-4 win against Winnipeg. Nyquist, who won gold with Sweden at the 2018 World Championships, is just two points shy of establishing a new career-best mark. And set Nyquist on the course towards a prosperous NHL career. Gustav Nyquist Is A Thoroughbred. Literally.